It’s the end of November, and it’s time to give thanks. This year, I’m thankful that I’m continuing to make progress on my research! It can be really slow-going at times, but it’s always nice to look back at the end of the month and know that some of the tasks have been crossed off the list. 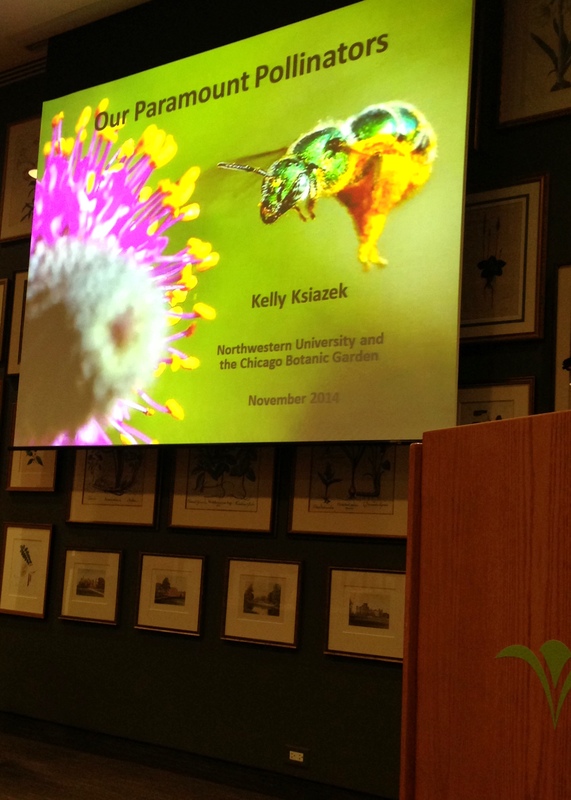 At the Chicago Botanic Garden, I gave a presentation about the importance of pollinators. Early in the month, I was invited to give a presentation about why pollinators are important to people (they give us a lot of our food, for one thing!) and what I’ve learned about their relationship to plants on green roofs. It was fun to get to talk to a new audience of local gardeners and share some of my findings and stories with them. I hope I inspired at least a couple to include a larger variety of local native plants in their gardens to help both plants and pollinators thrive in the future. This month, I continued to weigh fruits and count seeds, as I discussed last month. I have hundreds of fruits and need to be very careful to count all the seeds so it’s probably going to take a while to get this job done. The little tubes that each contain a small piece of leaf from one of my parent plants are lined up and ready for the extraction procedure to begin. There are a lot of steps involved to match up the mom & dad DNA with the seed’s DNA. To start, I have to get the DNA out of the parents’ leaves through a process called “extraction.” Then I have to use a special machine called a “Nano-drop” to make sure that the extraction worked. 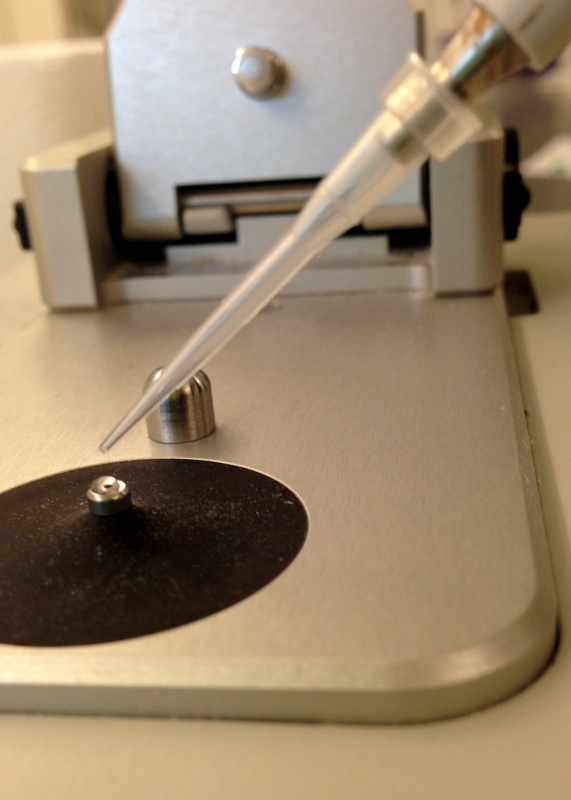 I place a tiny drop of liquid with the DNA on the Nano-drop and a press a button to run a type of laser through the liquid. If the laser hits DNA, it sends a signal to my computer and I get happy that the extraction worked! 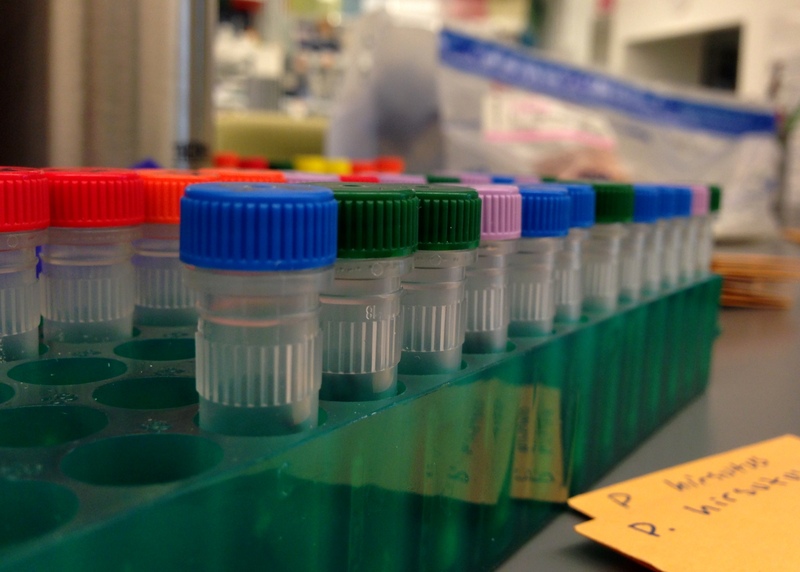 Next, I have to be able to look at certain parts of the plant DNA for tiny differences between each individual. Because each individual gets half of their DNA from their dad and the other half from their mom, I can match up these differences. THEN… OK, well there are many more steps but this is where I’m at right now so I’ll leave the next steps for future research updates!